368 pages | 82 B/W Illus. What is ‘gut feeling’ and how can it be harnessed? To what extent should business decisions be informed by ‘instincts’ which may seem irrational or impossible to quantify? 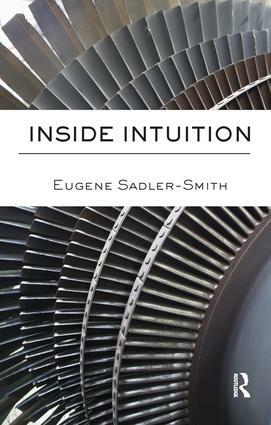 Inside Intuition examines how the latest developments in social psychology and cognitive psychology, as well as exciting new insights from evolutionary psychology and cognitive neuroscience, can be used to explain the phenomenon of ‘gut feeling’ which has for decades been shrouded in magic and mysticism. This book provides a highly readable scientific explanation of ‘gut feeling’, and the sometimes profound effects it can have in decision-making in business, management and other professional contexts. Using examples ranging from Boeing to Buddhism, it explains how managers and other decision makers can make better use of this pervasive, involuntary and ubiquitous phenomenon in their personal and professional lives to support creativity, innovation and interpersonal functioning. Inside Intuition is essential reading for all advanced students of business and management, and for managers and professionals at all levels. Eugene Sadler-Smith is Professor of Management Development & Organizational Behaviour in the School of Management, University of Surrey. He has reasearched and written extensively in the area of learning and development, and is the author of Learning and development for managers: perspectives from research and practice (2006) and, with Dr. P.J. Smith, Learning in organisations: complexities and diversities (2006). His work on Intuition has appeared in a number of scholarly journals, professional magazines, The Times and on BBC Radio 4.